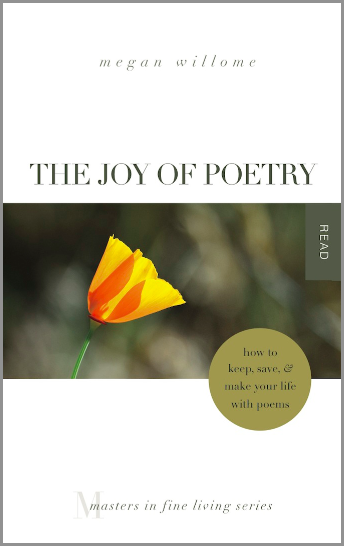 I’ve been overwhelmed with the support and kind words surrounding the release of The Joy of Poetry. The last shall be first. 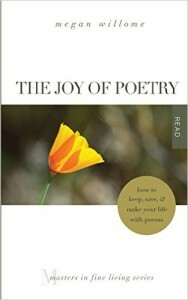 LW Lindquist announced that The Joy of Poetry will be the selection for Tweetspeak’s May’s book club. The fun starts Wednesday, May 4, and continues May 11 and 18. It all began with Laura Lynn Brown, my second poetry buddy and author of Everything That Makes You Mom. She interviewed me via email at MakesYouMom.com. And Glynn Young, author of Poetry at Work and the novels Dancing Priest and its sequel, A Light Shining, wrote a review for Tweetspeak. Michelle DeRusha, author of Spiritual Misfit and 50 Women Every Christian Should Know and a forthcoming book about Martin Luther and his wife, Katharina, invited me to guest post on her blog. That piece, titled “Why Poetry?” is about incorporating a poem into your life if you only have 5 minutes to spare. Diana Trautwein, who has been busy writing several series on her blog and recovering from her days of sermon-writing, wrote a review as well. Diana reviews a lot of books, so I was honored to be included. Donna Falcone did a lovely piece titled “Poems on a String” on her blog, and guess what? She included poems! Laura Boggess mentioned the book on her blog and did a giveaway. Jody Collins wrote a thorough review titled “Why Poetry?” complete with reasons and illustrations. Bonus: two poems, including one of hers. My publisher, L.L. Barkat (just visit her Amazon page to see everything she’s written) included the book, along with several other TS Poetry Press titles, in an article at The Huffington Post about bringing poetry to life—not just during April/National Poetry Month. Thanks also to Jennifer Dukes Lee, who played “Blue Moon” for me on piano and Nancy Marie Davis, who snapped a photo of my book beside one of her paintings. (Both jewels are on Facebook, not on the blog links above.) What awesome, creative friends! 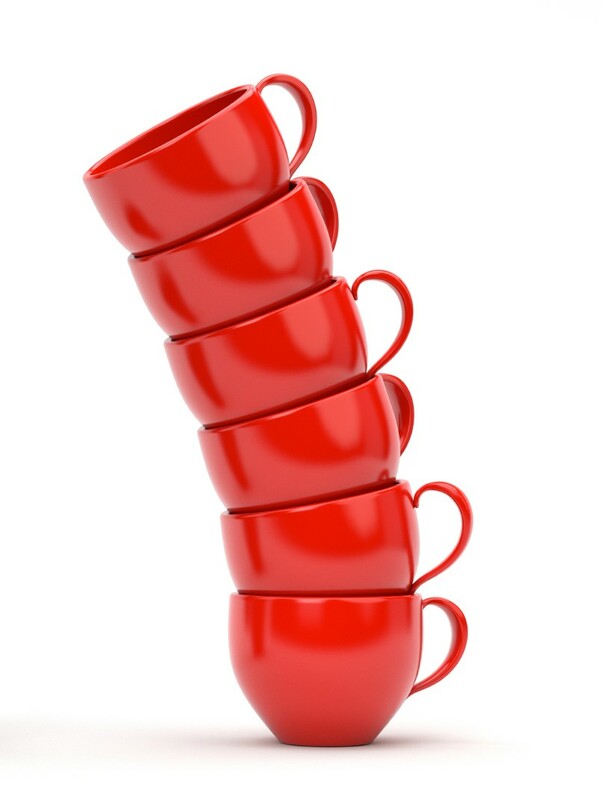 I will add more links as they come online, and there are a couple more in the hopper. I get my hair cut at Walmart for two reasons: 1) I’m cheap, and 2) I have fascinating conversations with whoever happens to be my hairdresser. At our local SmartStyle the turnover is high, I suspect because they work the women into the ground. This particular Tuesday there was someone new. Her name was emblazoned on a pin attached to her Just Do It T-shirt. Let’s call her Lynn. She asked if I was off work, which is always an uncomfortable question for me to answer in that shop. I told her the truth, that I work from home for a magazine in Waco. Usually people ask me what I do for the magazine, and I answer, “Write and edit,” but Lynn didn’t ask. She just told me she wrote poetry. Then while she cut my hair, she recited one of her poems. She said it was influenced by a time when her son was little and had memorized all the names of the presidents. He said if he ever had a horse, he’d name it Coolidge. Because every kid wants to name his pet horse after good ol’ Calvin Coolidge, right? She said she hoped someday he might turn her poem into a song. It would make a good country tune—it had that kind of rhyme. Then I got the rest of the story. She hadn’t talked to her son, who is 24, in a week. She couldn’t afford to keep bailing him out. He’s ADD and bipolar, especially in the morning. There was a truck she’d tried to give him that he refused and now he demanded she give it back. Girls love him. Turns out she doesn’t even live here—she lives over an hour away. First she told me this was a working vacation. Then she told me she was hiding from him. Just for a week, she said. She said she’s got a whole book of poems. She’s saving them for him. I did not tell her I write poems too. I did not tell her I’ve written them about the hard things in my life, like during my mom’s last three years with cancer. I didn’t tell her I had a book about the joy of poetry releasing in three days. This was her day, her poem. We think poetry is just for academic ivory towers. We think it’s only for men in tweed jackets or for women who never visit a hairstylist. But it’s also for people like Lynn, whose best idea for a vacation/hideaway is picking up a week’s worth of shifts at a Walmart salon in another town.